The Denver movers at Stallion Moving Services are a favorite among moving companies in Denver, Colorado. Licensed and insured moving company with professional movers for local and long distance relocation services. Thank you for the chance to be your home or office mover. Call today or complete a form by clicking one of the links below for a free moving quote on your upcoming move in the Denver metropolitan area. Stallion Moving Services looks forward the chance to be chosen as your professional Denver movers. Here, you can find information on both local and long distance moving services. We understand that picking the right moving company is a big part of the relocation process. Let our Denver movers guide you through your move, from start to finish, to make it a seamless, stress-free and enjoyable experience. When you call or email one of our customer service representatives, they’ll be able to go through the finer details of your move and make sure that you have everything you need to see a successful service completed. Let us know if you have any more questions about your relocation or our moving, packing, or delivery services. Feel free to call us today for more information or a free moving quote. April Will End Soon, Book Today! Stallion Moving Services is a full service moving company frequently considered among the best moving companies Denver has to offer. We’re a licensed and insured mover in Denver and can service the entire state of CO. We were created with the idea of providing residents and businesses with high quality moving services at the best possible value. 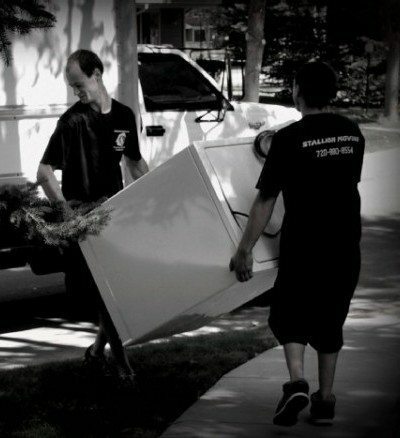 Our Denver movers work hard by maintaining a strong standard for excellence. We believe this will continue to help move us forward in our standings among other Denver moving companies. So far, we’ve won many awards for how well we take care of our clients. With that, it’s our goal to help our experienced home and office movers in Denver to be the best they can be. We continue to offer a helping hand with an unmatched level of professionalism and quality. By doing this, we’ll always keep pushing ourselves to improve and make progress, with a better value and even better service. Stallion Moving was great! Their movers were careful and seemed concerned about my belongings and my time. Billy, John and Jeremy were great. I would recommend them to any of my family and friends needing a moving company! Thank you! Looking for movers near me in Denver? If you are on the search for a full service Denver moving company, then you’ve found the right place. We are one of the top moving companies in Denver Colorado and will be sure to work hard, providing a great experience with our professional moving company services. Our local movers are licensed, insured, experienced and well-equipped for your nearby move. Its our goal as a local Denver moving company to provide the best moving services we can for every shipper. Give us a call today to schedule a job with our local movers in Denver. Long Distance moving and relocation services are something we can help with. We can help with either loading or unloading services when you’re headed out of state. Our Denver movers and moving helpers can also help you pack and protect your items for shipment. At Stallion, we offer residential moving services for houses and apartments. Whether you have a one bedroom or five bedroom home, you’ll surely find our move helpers to be some of the best in Denver, CO. Just give us a call and we’ll certainly be happy to get a quote started for you. Stallion Moving has the office movers for your business moving and relocation needs. With Stallion moving, your commercial move will be a breeze. If you’re moving within the same building or to another part of Colorado, we can help. Cal us today and we’ll give you an estimate. Moving is not only a feat of strength, but also skill. Our professional movers bring both to the table for our clients every day. Between communication, technique, and experience, we go the extra mile to satisfy our clients. Upon arriving, our movers will assess the relocation and then get everything ready to be moved. Furniture and items will be taken apart if necessary. Then, they’ll be padded and shrink wrapped to prevent damage. 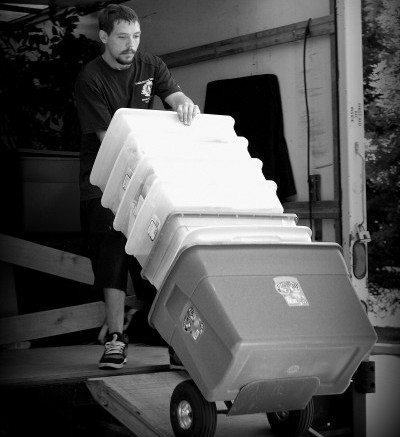 We carefully load the moving truck to prevent damage and then move your items to the new place. When we get there, we reverse the process and set up your new home. We work with many different options to help customers with their transport needs. We offer 16 and 26 foot trucks to our clients. Loading and unloading is offered for UHaul, Penske, Budget, ABF, PODS, Pack Rat, UPack, and more. If you’re planning a long distance move and need help arranging your provider or don’t know which option to choose, then call us today. We’ll happily set you in the right direction. Properly quoting the supplies and number of movers required for your service is an important step in setting up your move day. Whether it be over the phone or in your home, being thorough is key. Obtaining as much information as possible help us offer the best quote we can for your home estimate. Please include all information about square footage, long walks, stairs, elevators and heavy items. This helps our movers be prepared when the day comes. Packing your home or business is probably the most important yet underrated portion of a move. If not packed properly, it can really damage your moving process and slow your experience. Your household goods should be packed with care. This applies whether it be a do-it-yourself move or professional service offered by a moving company that you hire to move your packed goods. Be sure to place heavy items in small boxes and light items in large boxes. Label thoroughly and wrap diligently. 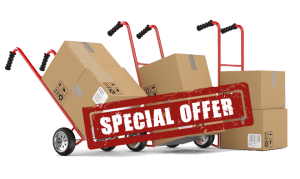 Call us today for a quote on packing your home or business. It’s important that our movers understand what is to be relocated, along with any specific requests or concerns. Our office and movers will do their best to provide a smooth and efficient moving experience. We want to make sure we go above and beyond expectations each and every time. During your move, your crew will be taking apart furniture and putting on padding and stretch wrap to prevent damage. As a professional moving company, our movers place top priority on the care taken with your belongings to deliver them safely. We always use professional supplies and equipment every time. To us, each client should have the best move they can. Once we’ve assessed, padded, wrapped, and prepared all of our items, we’re ready to start with relocating. Throughout this, your team will still do whatever they can to take care of your items. When everything is set up in your new home just how you like, you’ll be glad you chose our moving company in the mile high city. I don’t like the experience of moving but these guys made it easy for me and my family. They managed to squeeze 2 hours to finally pack and move all my heavy stuffs out of my old home and the transfer to my new one was a good one. Not one of my stuffs was damaged upon moving. They were friendly and professional. All in all, I had a good experience with this company.